fish fillet sandwich | Badudets Everything Nice! Jeff and I were sort of carnivores last week, craving for burgers and steaks. 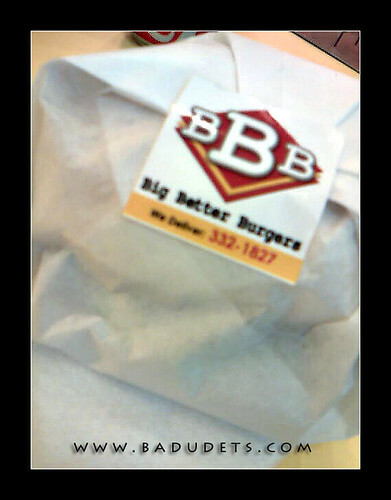 Last Monday, we had our burger fix at Brother’s Burger in Trinoma. But the burger-craving didn’t stop that day and it lasted until Friday. Although we enjoyed Brother’s Burger, who wouldn’t?, we decided to check out the new burger joint, Big Better Burgers, at the 2nd Floor of Shoppes@Victoria Tower located in Timog corner Panay Avenue.